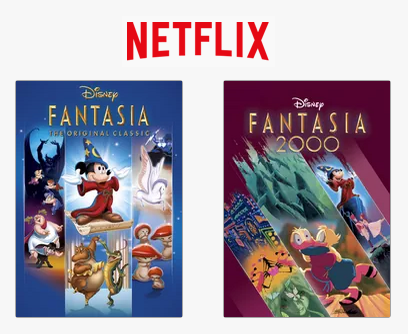 Netflix has an enormous database with classic movies, including Disney movies. When you’re searching for popular Disney movies on Netflix you won’t find all the best-selling films, although Netflix does steam several animated movies form Walt Disney Studios which you can find below. The good news is that Netflix signed an exclusive deal with Disney and announced that more Disney titles will be available on Netflix from September 2016! Disney animators set pictures to Western classical music as Leopold Stokowski conducts the Philadelphia Orchestra. "The Sorcerer's Apprentice" features Mickey Mouse as an aspiring magician who oversteps his limits. Fantasia was one of Walt Disney’s first animated features in 1940. Hercules, son of the Greek God, Zeus, is turned into a half-god, half-mortal by evil Hades, God of the Underworld, who plans to overthrow Zeus. Walt Disney’s creation Hercules is raised on Earth and retains his god-like strength, but when he discovers his immortal heritage Zeus tells him that to return to Mount Olympus he must become a true hero. Hercules becomes a famous hero with the help of his friend Pegasus and his personal trainer, Phil the satyr. Hercules battles monsters, Hades and the Titans, but it is his self-sacrifice to rescue his love Meg which makes him a true hero. The Hunchback of Notre Dame is a 1996 American animated musical drama film produced by Walt Disney Feature Animation and released by Walt Disney Pictures. The film received Academy Award and Golden Globe Award nominations for Menken's musical score. The Hunchback of Notre Dame is available on Netflix Since June 2013. Unlike many Disney film sequels, almost the entire key cast of the first film returns, aside from Tony Jay (since his character Judge Claude Frollo had died at the end of the first film). Now that Frollo is gone, Quasimodo rings the bell with the help of his new friend and Esmeralda's and Phoebus' little son, Zephyr. But when Quasi stops by a traveling circus owned by evil magician Sarousch, he falls for Madellaine, Sarouch's assistant. But greedy Sarousch forces Madellaine to help him steal the Cathedral's most famous bell. Lilo & Stitch was the second of three Disney animated features produced primarily at the Florida animation studio located at Disney's Hollywood Studios. Both the first and the second part are availabble on Netflix. The film received positive reviews and was nominated for the 2002 Academy Award for Best Animated Feature. Taking place between the original "Lilo and Stitch" and "Stitch: The Movie", "Lilo and Stitch 2" finds the rowdy extraterrestrial getting used to life with his new ohana. However, a malfunction in the ultimate creation of Dr. Jumba soon emerges, which reinstates his destructive programming and threatens to both ruin his friendship with Lilo and to short him out for good! The film's content is derived from three previously released animated featurettes Disney produced based upon the classic Winnie-the-Pooh books. Pooh, a bear of very little brain, and all his friends in the Hundred Acre Wood sing their way through adventures that encompass honey, bees, bouncing, balloons, Eeyore's birthday, floods, and Pooh sticks. The Walt Disney movie is based on based on the Chinese legend of Fa Mulan. Mulan was well received by critics and the public, earning Golden Globe and Academy Award nominations, and winning several Annie Awards including Best Animated Feature. A classic Disney version of the Robin Hood legend. Fun and romance abound as the swashbuckling hero of Sherwood Forest and his valiant sidekick plot one daring adventure after another to outwit the greedy prince and his partner as they put the tax squeeze on the poor. The movie is about the life of Tarzan. Tarzan was a small orphan who was raised by an ape named Kala since he was a child. He believed that this was his family, but on an expedition Jane Porter is rescued by Tarzan. He then finds out that he's human. Now Tarzan must make the decision as to which family he should belong to. As Tarzan and Jane's one-year wedding anniversary approaches, Jane searches the jungle for the perfect gift for Tarzan, even enlisting the help of Terk and Tantor. As they recall the many adventures they've shared so far, Jane realizes what an exciting year it's been in the jungle from encounters with old friends, outsmarting panthers to surfing the lava down an erupting volcano. But all of that is nothing compared to the surprise that Tarzan has in store for Jane. Walt Disney Pictures purchased the film rights for Who Framed Roger Rabbit's story in 1981 and released the film through its Touchstone Pictures division on June 22, 1988. Who Framed Roger Rabbit won three competitive Academy Awards and a Special Achievement Award. The story is about 'Toon star Roger is worried that his wife Jessica is playing pattycake with someone else, so the studio hires detective Eddie Valiant to snoop on her. But the stakes are quickly raised when Marvin Acme is found dead and Roger is the prime suspect. Groundbreaking interaction between the live and animated characters, and lots of references to classic animation.